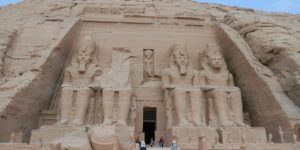 Many tourists flock to Cairo to experience a city steeped in history, but as it turns out, they can’t overlook the city’s burgeoning culinary landscape. 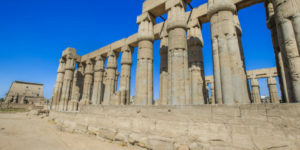 Thousands of dining establishments have a home within the city limits, ranging from traditional Egyptian to Italian, French, Indian and Lebanese, fetching cuisines that span the globe. With a plethora of choices, where does a first-time foodie begin? 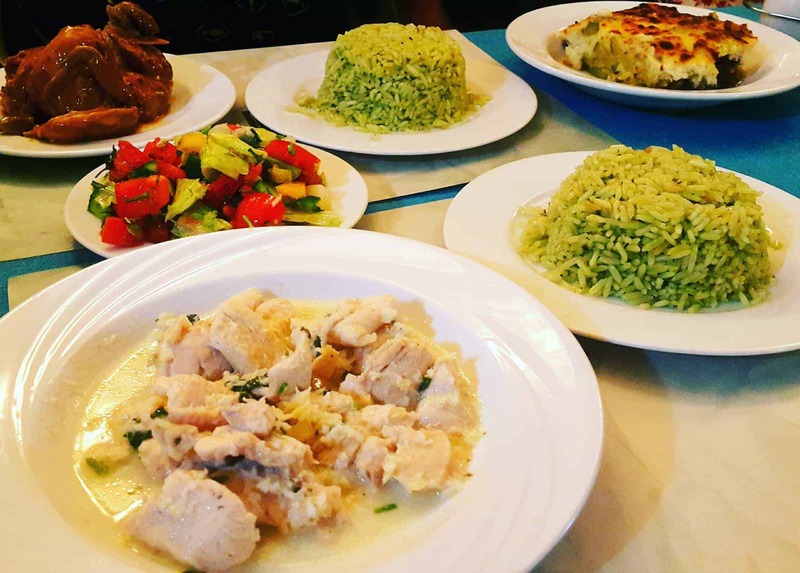 Here’s a glimpse at some of the best restaurants in Cairo. Just be sure to go hungry! 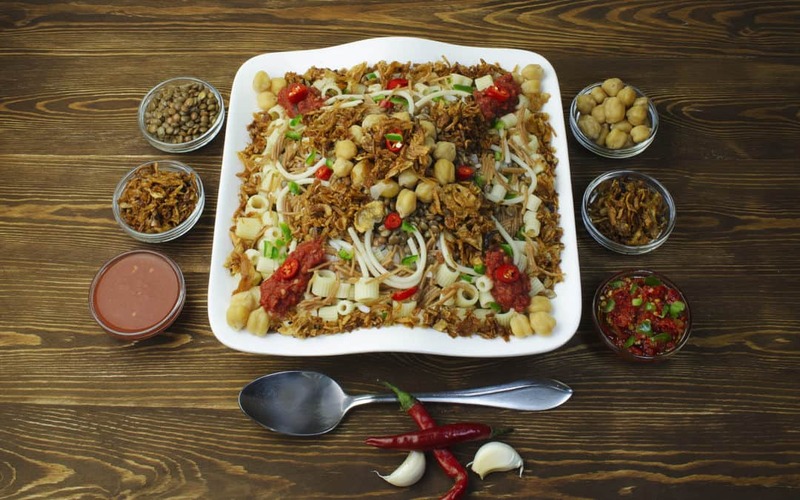 For the freshest koshary on your Egypt tour, head to Abou Tarek in downtown. 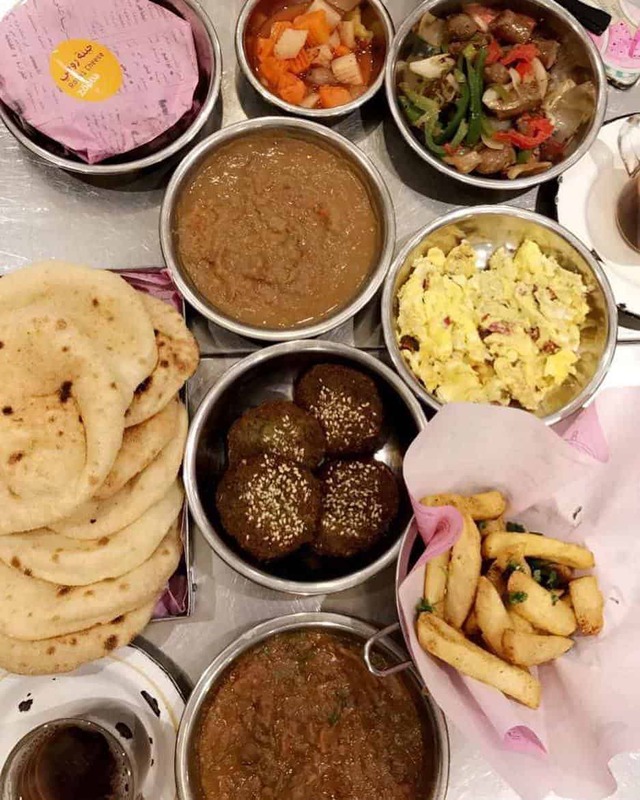 Feeding hungry locals and tourists since 1950, Abou Tarek has been featured on CNN and is now famous the world over for their preparation of the iconic dish. 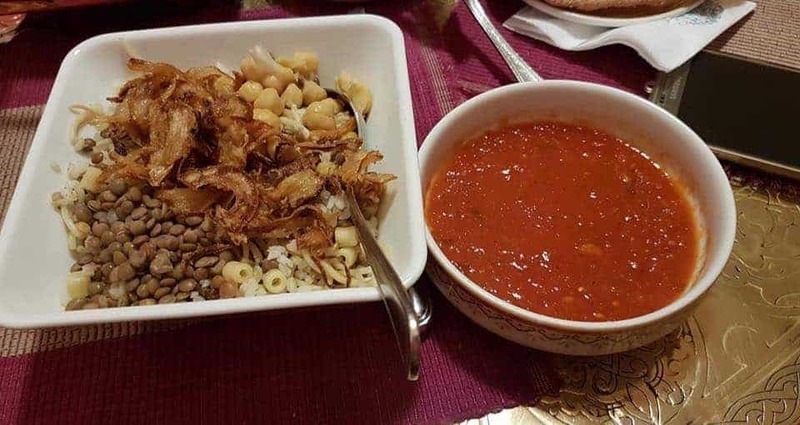 One of Egypt’s traditional recipes since the 19th century, koshary (or kushari) is a combo of rice, macaroni and lentils, capped with chunky albeit spicy tomato sauce then garnished with chickpeas and crispy fried onions. Top with garlic vinegar or chili sauce for added heat. This restaurant is also light on the wallet, so it’s a must-try when in Cairo! 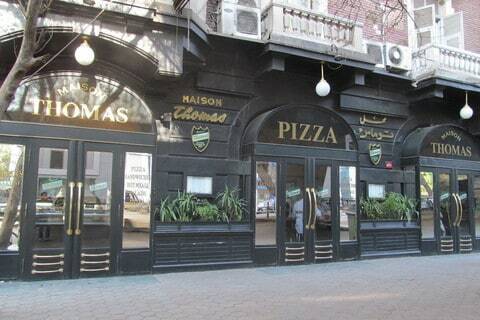 Bedecked in brass and mirrors, this popular Zamalek spot has been tossing Cairo’s tastiest thin-crust pizzas since 1912. The pies aren’t Italian or American, but rather, they have that special Egyptian twist, infused with texture and flavor, making each pizza like none you’ve tasted before. The Margherita is a fan favorite, and the funghi, pastrami, and four-cheese pizzas don’t disappoint either. Start off with the Baltic salad – smoked salmon, baked potatoes, boiled eggs, sliced onions, capers, oil and vinegar – and finish your Maison Thomas outing with a sumptuous eclair or chocolate mousse. Yum. As one of downtown’s earliest pioneers to set up shop post-revolution, Fasahet Somaya delivers authentic Egyptian eats straight out of a grandmother’s kitchen. Owner and chef Somaya gears her menu toward regional and seasonal produce, focusing on just a handful of dishes daily. Housed in tiny quarters, the restaurant is open from 5 p.m. until 7 p.m. only, and of course, with limited space so arrive early. You’ll feel as if you’re dining in the home of a good friend, and one who puts her heart and soul into each and every bite. Bear in mind – the menu changes each day; feel free to pop in and ask, “What’s for dinner tonight?” Just know that there’s no sign in English on the door. Thai food in Cairo? Yes, at Birdcage, you’ll be greeted with a welcome drink and an array of gourmet Thai dishes like tom yum, green curry, and shrimp konafa. If you’re an undecided diner, opt for the ‘Degustation’ menu, a medley of appetizers, main dishes and dessert to sample. 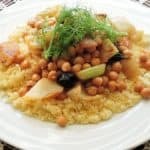 Although the spread isn’t vegetable-focused, the chef is glad to prepare vegan and vegetarian plates at your request. Situated in the Intercontinental Hotel, Birdcage boasts a serene setting and is ideal for a couple’s romantic night out or a quiet meal with close friends. It’s no easy task to find a calm corner in Khan El Khalili – supposedly the oldest souk in the Middle East – but brave the crowds and you’ll decompress (and eat well) at this charming Egyptian restaurant dedicated to and named after the great Pulitzer Prize-winning writer. Sit down for a filling several-course meal, or if shopping at the market is your priority, a quick sandwich or snack will do. Expect hummus, lentil soup, hawawshi, and stuffed pigeon, as well as rice pudding flavored with cinnamon and raisin, then sprinkled with nuts. 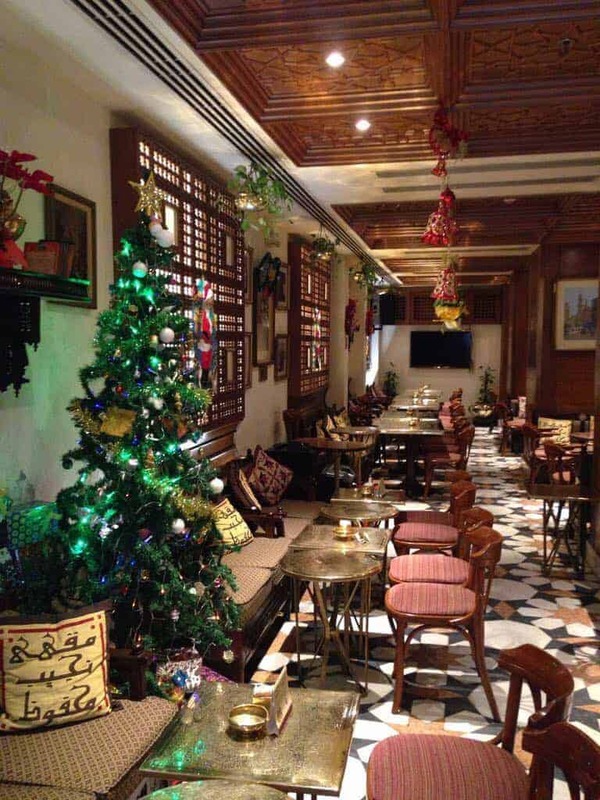 The service is some of the friendliest you’ll find in Cairo, and there’s live music to boot. 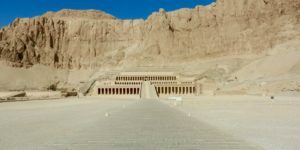 Naguib Mahfouz is a destination for any Egypt trip. Set in Royal Maxim Palace Kempinski, this Lebanese restaurant offers a wide selection of Middle Eastern favorites along with shisha and live entertainment. Start your meal off with babaghanoug (grilled chopped eggplant, bell peppers, onion, lemon and olive oil) or kibbeh (fried crush wheat and pine nuts stuffed with minced lamb and mint). 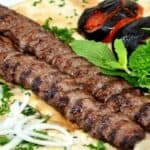 Follow up with a main course of 7-spice beef tenderloin shish kebab or samaka harra (grilled seabass with hot tomato sauce and grilled vegetables). Though the menu is meat-centric, vegetarians can make a meal out of mezze plates like grilled halloumi and spinach fatayer. Belly dancing is par for the course on certain nights, ensuring a complete cultural and Middle Eastern experience. Don’t be fooled by the mall location, there’s a reason that Indira is consistently rated the best Indian restaurant in Cairo. Chef Vikram’s culinary creations have garnered praise from near and far. 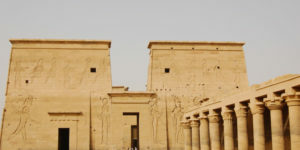 In fact, Indira won Cairo 360’s Editor’s Choice award for two years in a row. Patrons are wild about the butter chicken, lamb curry and shrimp biryani; meanwhile, the tempting (and filling) melt-in-your-mouth cheese nan is superb. Aside from excellence in the kitchen, Indira is recognized for its stellar service. Considering the fantastic food and warm hospitality at Indira, it’s easy to understand how this restaurant is a terrific value and favorite among both locals and tourists. 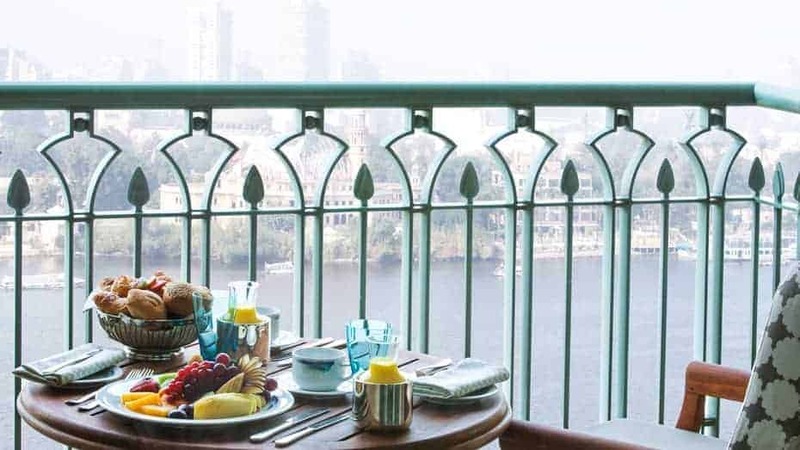 Discriminating diners from around the globe flock to this upscale French restaurant for the mouthwatering steak and Nile River views. Carnivores won’t be able to resist the Australian Wagyu beef, Chateaubriand, and Côte de boeuf, cooked to perfection. Must-taste mouthwatering starters include the oven-baked bone marrow and the signature pan-fried foie gras with marinated figs, apricots and pine nuts. Seafood lovers won’t want to miss the king salmon steak or the lobster tail – steamed, grilled, Thermidor, or curry – prepared however you like. The dessert trolley offers sugary delights well worth the fat and calories – try crepes Suzette or sabayon as a grand finale. 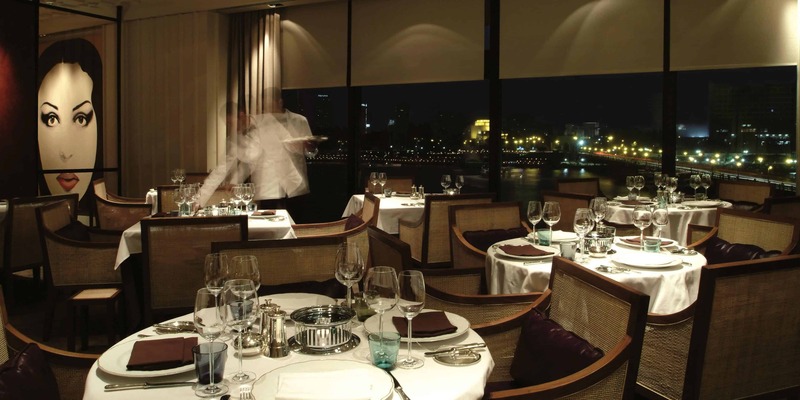 If you have a desire for authentic Egyptian fare, look no further than Zitouni in the Four Seasons Hotel. 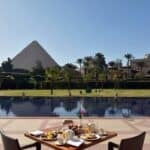 Savor time-honored dishes such as falafel, sambousak, and shish barak in this 24-hour restaurant while gazing at the Nile River. Follow up with a serving of om ali, a dessert that’s one of Egypt’s national dishes, and made from phyllo dough, milk and nuts. Beyond a la carte offerings, Zitouni also presents a phenomenal all-you-can-eat buffet for breakfast, lunch, and dinner, befitting for those extra-large appetites and curious eaters. For an amped up (and healthful) interpretation of ready-to-eat Egyptian foodstuffs – head to Zooba. Anticipate high-quality ingredients sans preservatives and additives in their epicurean version of street food. 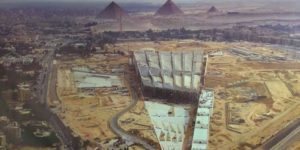 You’ll have six different locations to choose from: Zamalek, Maadi, New Cairo, Nasr City, Korba, and one at the American University of Cairo. Select a main dish and then add meat or greens as you so desire. Gluten-free and vegan options are available too. Taamia, shakshouka, mousak, beetroot salad, and spinach baladi are just a few recipes rounding out the diverse menu – a menu aiming to provide fresh, local food and reveal the creative spirit of the Egyptian people at the same time. For all Zooba locations, visit the website. Bil hana wa al shifa’!